Comedy Lets Get Physical Jumpsuit + co-ordinating Headband - the rude design makes this a perfect Stag party outfit or comedy take on a 1980s theme! 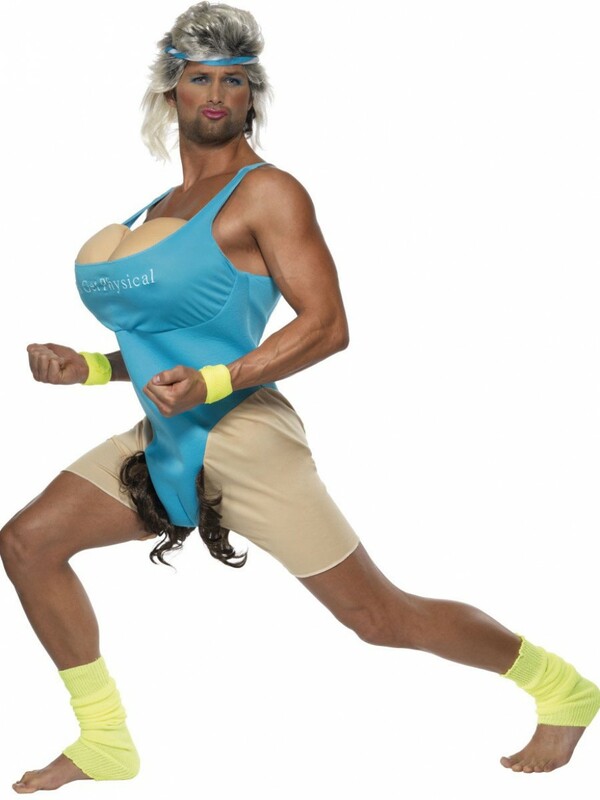 This funny Lets Get Physical Costume includes a fun work out Jumpsuit and co-ordinating Headband - a comedy look which is perfect for Stag dos or a funny take on 80s fancy dress! 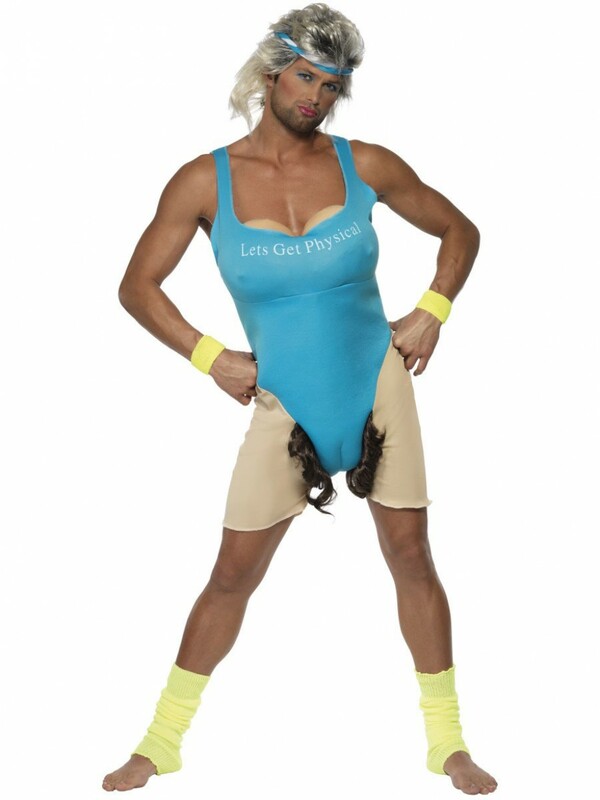 The Lets Get Physical Costume is an all-in-one work out jumpsuit with blue swimming costume design which has ‘Lets Get Physical’ on the front, a padded bust, attached shorts and rude crotch design! 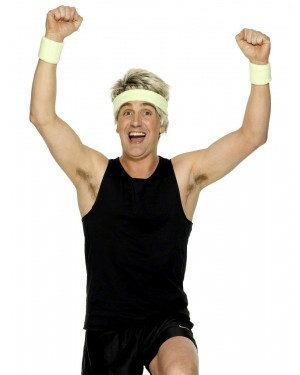 The co-ordinating blue and white headband perfectly completes this comedy Lets Get Physical Costume! The costume is one size to fit most.